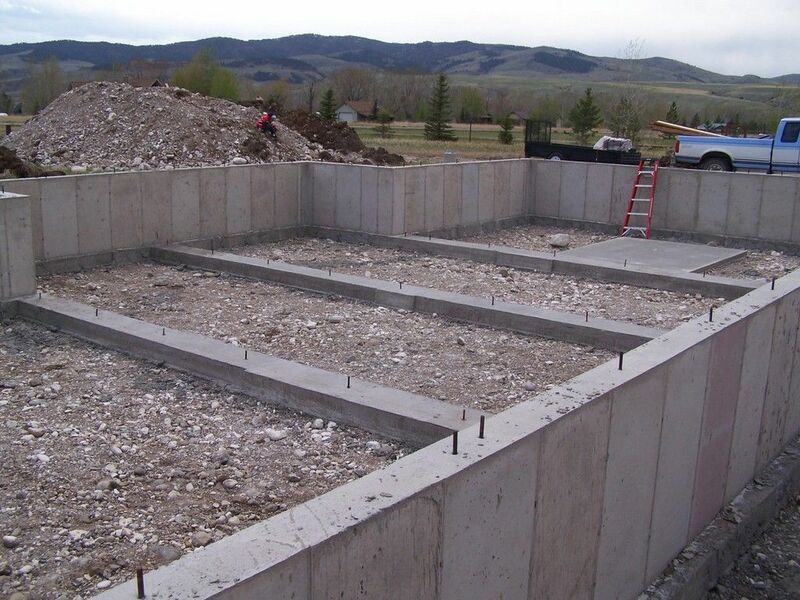 Created as a base to support all kinds of structures, foundations are one of the least glamorous, yet most important components in structural civil engineering and construction. One of the most important collaborations in the construction industry is one that occurs between structural and geotechnical engineering when specifying foundation design. Buildings, dams, monuments, bridges, piers, walls, roads, and any construction requiring a stable base for successful execution requires accurate structural analysis as well as in depth review of the supporting geology. Historical examples of failed design in foundation construction are legion. The leaning tower of Pisa is a well known early anomaly, built at a site with inadequate geological load bearing capacity coupled with poor structural foundation design. The Austin Dam failure in Pennsylvania in 1911 is a more recent example which involved correct geological load bearing assessment, but failed to recognize base rock sliding and uplift risks as well as poor structural concrete design. At least one case of foundation failure was intentional; some early constructions on permafrost deliberately utilized the slow thawing of the frozen soil and resultant settling of the building to create subsurface basements without the need for excavation. Fortunately more recent extreme foundations failures are rare. This is largely due to the recognized need for correct geological site analysis and testing as well as better structural design and construction processes. 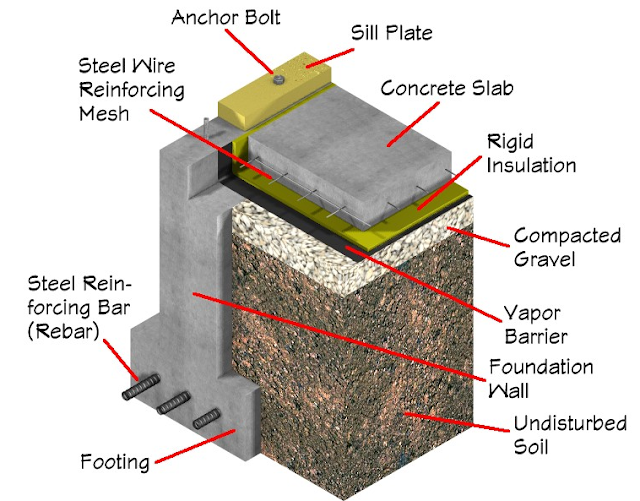 Two broad categories of modern foundation design can be defined, the shallow form and the deep form. Shallow foundations include slabs, stem walls, footings, basements, and other forms which can be created using surface excavation techniques. Deep foundations refer to driven pilings and piers, shafts, caissons, injected borings, and forms which derive stability from subsurface geological formations and soils. Determining the type and load bearing capacity of the underlying soil and rock is the geotechnical contribution of the design process. A site survey is conducted to identify the geological materials present. This survey may include testing and analysis of shallow surface samples as well as deep core samples taken from drilled borings, and review of data from existing related formations. The resulting geotechnical report will identify compressive and shear load capacities available for the various layers of soils and rock formations present at the proposed construction site. It may also identify settlement potential, moisture swelling, erosion concerns, and freeze/thaw processes. This may result in modifying, moving, or even abandoning a construction project site due to inadequate foundation support capacities of the local geology. Once a geologically adequate site has been identified the structural design of the foundation can proceed. Distributed and total loads of the proposed structure must be taken into account, along with the potential for seismic activity, floods, high winds, and other live load events that may bear directly on a foundation. For example, a site may be geologically suitable for the dead load of the structure, but the potential for flooding may dictate the need for a raised, pier supported foundation as opposed to an on grade stem wall or slab. Seismic potential may require the use of base isolation, elevated building foundation, or other alternative structural designs to utilize an otherwise geologically attractive construction location. As the ultimate foundation of foundations, constant information exchange and collaboration throughout the design and analysis process will continue to be the driving influence for continual improvement in this vital construction element. 0 Response to "Building the Best Foundations"